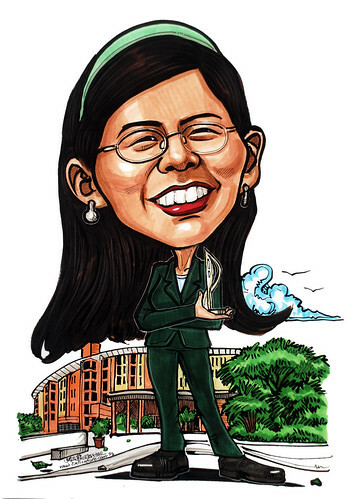 Spoke to you yesterday about the caricature for my boss’s farewell function next Friday, 30 Apr 2010. Attached are the photographs of her and the background building that we would like you to add in." Added in the trees and bushes to finish off the background on the right, as the photo provided doesn'i show full view of the building.